According to a figure we’ve just invented, 89% of workers spend hours every week daydreaming about their next food fix. Whether you’re hooked on haloumi or obsessed with onion rings, there’s something new for everyone in Brisbane this week. Welcome to the G&G, where we dig up the deets so you can focus on the feast. EATING OUT Hunger pasta point of no return? Say ciao to The Italian Restaurant, brought to you by the feast-masters behind Happy Boy and Greenglass. Set in the old Spring Hill Happy Boy venue, this slice of heaven will have its soft opening before the new year, focusing on regional Italian cuisine and Australia’s best small producer wines. Add this one to the Mantle. Brissie-famous Mantle Group is launching a new spot in South Bank’s vacant ABC Building. Set just down the road from the group’s Charming Squire venue, Tai Tai will seat 150 diners for Cantonese flavours come March. Dough you see what we see? This month, the Valley will welcome sweet new flavours that’ll bake you crazy. DoughLord will rep an entire space dedicated to cookie dough treats (egg free, so fear not!). 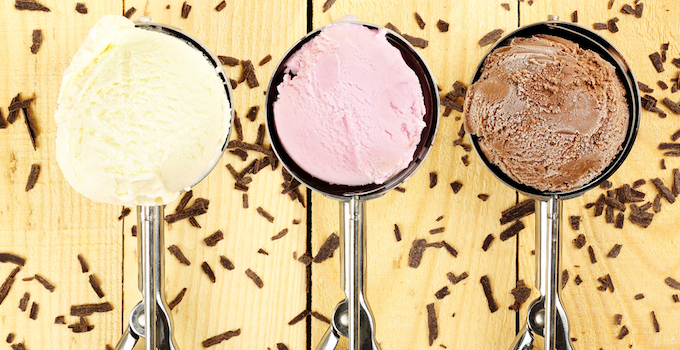 Served in cups and cones like ice cream, flavours will include quad choc and hazelnut praline. Take your stations, foodies! La Stazione Pizzeria & Bar is throwing open its doors on Milton’s Railway Terrace, treating December to new Italian tastes for brekkie, lunch and dinner.